1 day – Arrival to Madrid, meeting at the airport, transfer to Burgos. Arriving/Checking in at a hotel, free time. 2 day – in the morning – sightseeing tour with visit to Burgos ‘s famous cathedral, built in the Gothic style, and other sightseeing attractions of this historic city (churches of San Esteban and San Nicolas ,Santa Maria de Triumph, monument to Cid Campeador, Constable’s Palace Pamplona). Dinner at the restaurant, which serves traditional Castilian cuisine. In the evening transfer to Bilbao. Arriving/Checking in at a hotel, free time. 3 day – Before lunch – visiting tour to the Bilbao Guggenheim Museum, walking around the historic center and sightseeing in this unusual Basque city. Dinner in the famous restaurant in Bilbao. Free time. 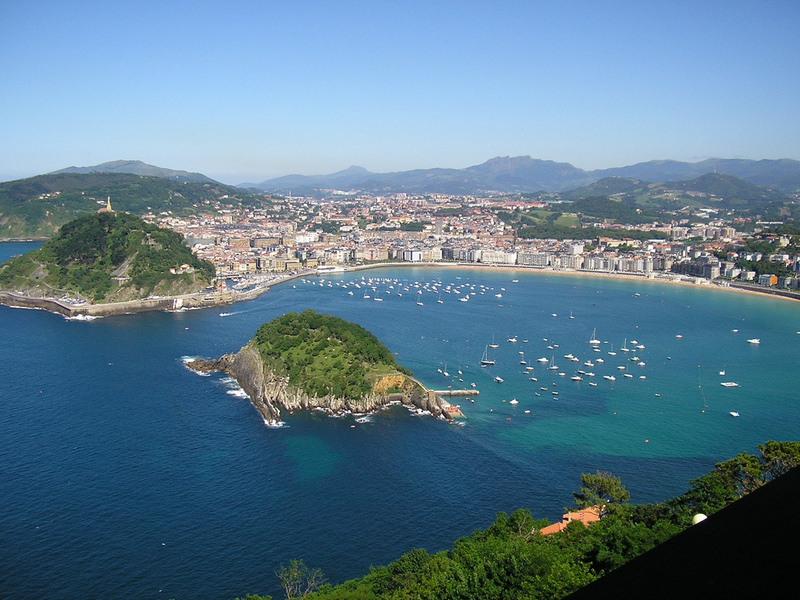 4 day – Before lunch – transfer to San Sebastian. By the way – a tour along the coast of Vizcaya (includes a visit to the towns of Guernica, Bakio, Bermeo, Mundaka, Getaria , etc. ), during which you will see magnificent nature, charming fishing villages, a place shrouded in legend, and have a lunch in a restaurant with stunning panoramic ocean views. Arriving/Checking in at a hotel, free time. 5 day – Before lunch – Tour in San Sebastian, during which our guide will show you the historical city and districts belonging to the Belle Époque. You are going to discover the main attractions and talk about local traditions and customs. Lunch at one of the restaurants, included in the Michelin Guide. Free time. 6 day – Before lunch – transfer to Pamplona – the capital of the province of Navarre. Arrival to hotel. Walking tour by Pamplona – the city has more than 2,000 years of history. You will walk through the main streets and squares of the Old Town, visit the Gothic Cathedral of St. Mary and discover the history and details of the San Fermin festival. Lunch at the restaurant specialized in traditional Navarre cuisine. After lunch – trip to one of the region’s best wineries, degustation. Return to Pamplona. Free time. 7 day – Transfer to Madrid. By the way – visit to the medieval town Olite with a great castle, erected by King Charles III of Navarre at the beginning of XIV- XV centuries. Arriving/Checking in at a hotel in Madrid, free time. 8 day – Transfer to the Madrid airport. Price of the tour for 1 person (minimum 2 persons) – from 1600 euros (the exact cost of the tour will depend on the hotels you choose and the total number of people in group).